I spotted this red pu leather fabric in a shop in York and I knew that I had to make it into something! I decided that it would make a really cute high-waisted skirt and I spent the morning sewing one, and that afternoon wearing it! 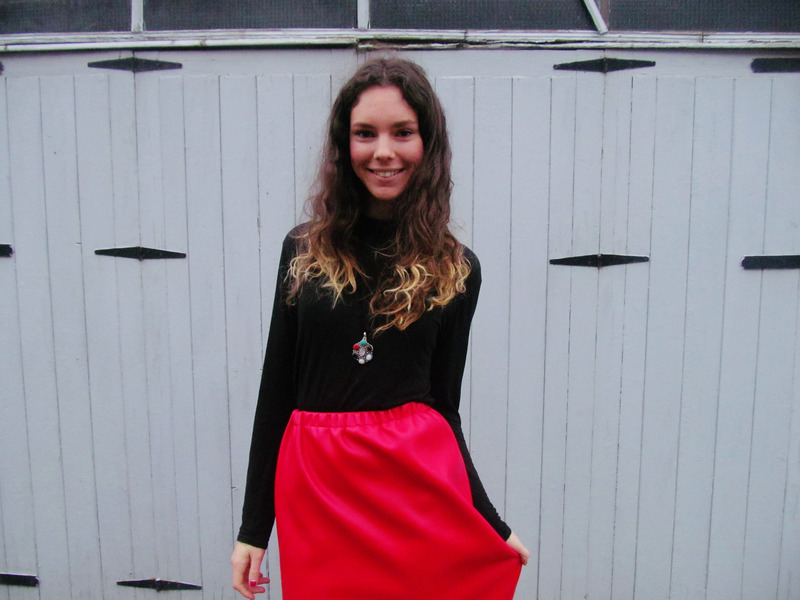 This is a really easy and worthwhile project – skirts like this are such a wardrobe basic! If you’ve never made your own clothes before, this would be a great place to start. You don’t even need a pattern! You will need: One meter of your chosen fabric, a needle, thread, scissors, sewing machine, measuring tape, pencil and elastic two inches longer than the length of your waist. First you need to draw your pattern piece. The skirt will be made up of two panels – one for the front and one for the back. Begin by drawing one half of one panel (as above.) To work out the length of side 1, measure the widest part of your hips, divide this by four and add 1 and 1/2 inches. To work out the length of side 2, measure the widest part of your hips, divide this by four and add 1/2 an inch. 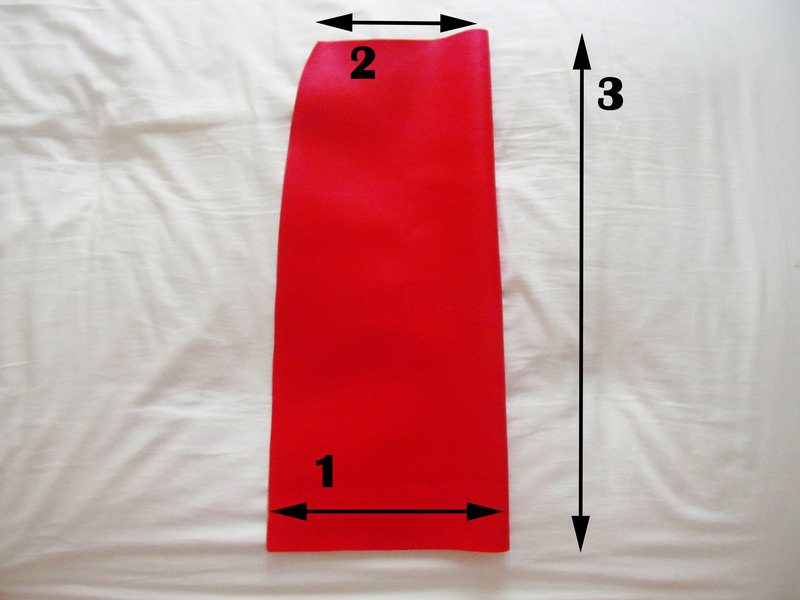 To work out the length of side 3, measure the distance between your waist and the part of your legs where you want the skirt to end and add 3 1/2 inches. Lastly, join up side 1 and side 2 by hand, including the small curve at the top. Cut out all sides apart from side 3. Fold the fabric over along side 3 and draw around the other three edges to form a whole panel. Cut this panel out and trace around it to get your second panel. 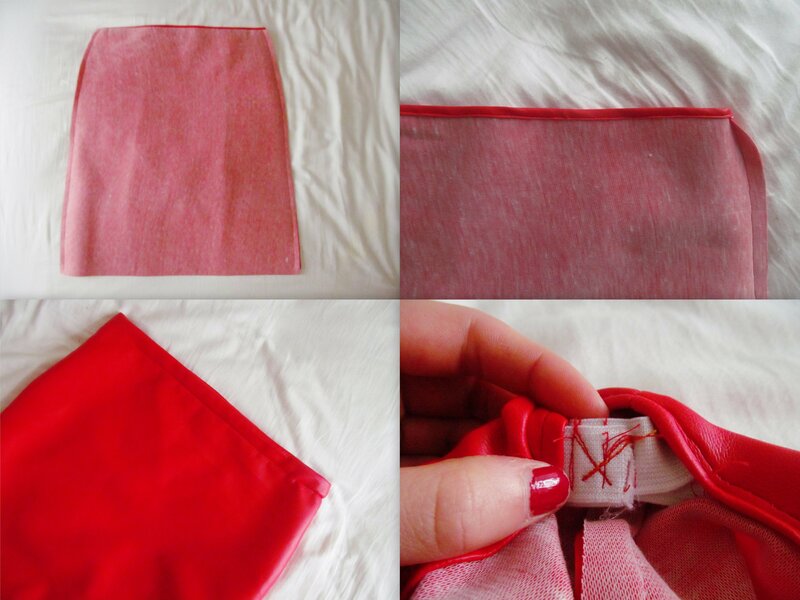 Place your two panels right sides together and sew along the right and left edges 1/2 an inch from the edge / Turn the fabric at the top edge over by 1/2 inch and sew down / Fold the fabric at the top edge over again, making sure to leave enough room for your elastic to pass through the waistband. Sew almost the whole way around, leaving some room to thread your elastic through / Thread your elastic through the waistband and sew the edges of the elastic firmly together! Sew up the gap that you used to pass the waistband through / Fold the fabric at the bottom edge over by 1 inch and sew to create the hem. And you’re finished! I found sewing with this fabric really hard at first, but if you put a sheet of tissue paper over the fabric as you’re sewing, it won’t get caught under your machine foot and you can tear it off straight after! What do you think? If you make something like this I would LOVE to see it! That turned out great–and it looks great on you, too! 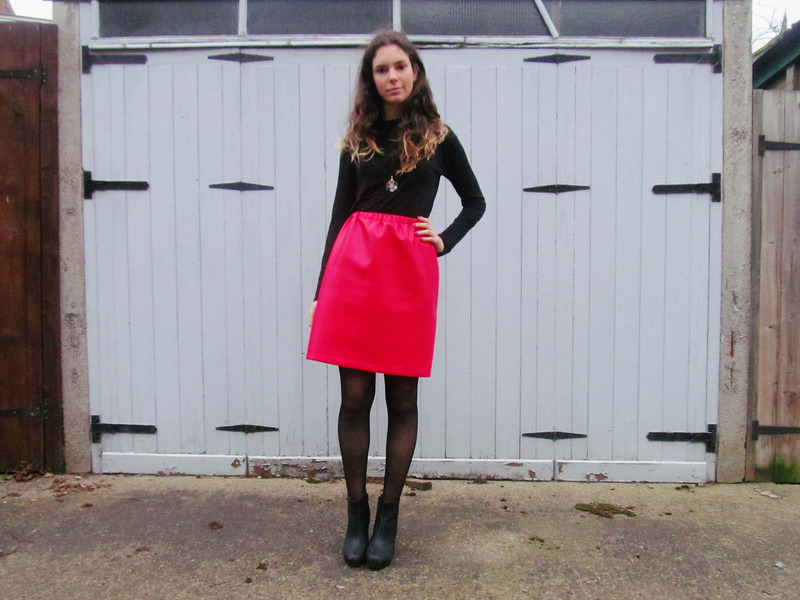 I love this look and the pop of colour! That is such a sweet skirt, I would love to make one for my summer holiday!